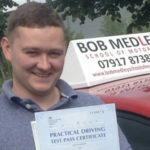 Bob Medley School of Motoring is based in Chorley and provides driving lessons in Chorley, Preston, Leyland, Bamber Bridge, Coppull, Adlington, Heaton, Horwich, Standish, Bolton, Buckshaw village, Euxton and the surrounding areas (Postcodes: PR1, PR2, PR5, PR6, PR7, BL1, BL6, WN6). Taking your driving lessons with the Bob Medley School of Motoring will help you pass your test quickly and easily, with a structured course tailored to your needs and requirements. You will benefit from the Bob Medley School of Motoring method of learning to drive which will help you to become a safe, responsible and efficient driver in as short a time as possible. You will find your time with the Bob Medley School of Motoring to be challenging yet supportive, moving along at a pace that you feel happy with. Call or text 0791 7873 878 now for details of how I can help you to pass your test and become truly independent! I was learning to drive with Bob in January. I told Bob that my aim was to be passed by the summer and by April I passed my test. Thanks to Bob, he is a great instructor and has helped me along the way. I feel like a weight has been lifted off my shoulders. Bob has been a great mentor over the last couple of months and has really helped me to pass my driving test first time with him. I’ve had plenty of bad instructors but Bob had better methods of teaching. I’ll be recommending Bob in years to come. Bob is a truly amazing instructor, i will certainly be recommending him in future because he has given me the confidence and skills I needed to pass my driving test. I learnt so much on each and every lesson and Bob has been so patient and encouraging!! Bob Medley School of Motoring is a long established driving school in Chorley. If you’re looking to take driving lessons, then helping you to pass your driving test quickly is a specialty of mine. You’ll find that I’m patient and always try to find out how you learn best. By using a Client Centred Learning approach, it helps you to reach your test at a quicker rate. Learning to drive “made easy” with Bob Medley School of Motoring – Pass your driving test quickly. Learning to drive can be a bit of a daunting experience and taking that first step can be quite a hard thing to do. There’s lots of things to take into consideration when choosing a driving instructor such as how often they fit you in for driving lessons, which test centre do they use, what is their pass rate are just some of the questions I get asked. That’s why I want you to get in touch with me if there’s any questions you’d like to ask before booking a driving lesson. To contact me, just simply click on the button below and you can ask me anything you want. So, you’re looking around for driving instructors in Chorley. But why do you need a driving instructor and what are the benefits to you? Well, these days it’s pretty much impossible to take driving lessons without using a driving instructor and reach a standard whereby you can pass the driving test. I’m not saying it’s impossible, but things have changed a lot over the years and the driving test has become much harder that what it was say 20 years or so ago. By using a driving instructor, you can be safe in the knowledge that you are getting coaching and tuition from someone who has had to pass three very vigorous exams in order to teach and qualify as a driving instructor. Not only that, but driving instructors know exactly what the standards are for the driving test and they also know the syllabus for the driving test. 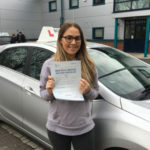 As one of the local driving instructors in Chorley if you use my services and book your lessons with me, then you will be receiving proper structured training which will put you in good stead with your driving skills for life. There are many driving schools in Chorley so it can be a bit of a mine field when choosing which one to go with. Especially because you are paying for a service so you want to be getting good value for that service. Let’s face it, paying for driving lessons in Chorley isn’t exactly cheap so you’ll be wanting to get your money’s worth and hopefully pass your driving test as quickly as you can. As a good tip, I would choose a driving school that’s been established for some time. Like me for example, not that I’m trying to use this as a sales tactic. As with most businesses, you will always find driving schools who seem to be expensive and the ones who seem to be cheaper than the rest. To pass your driving test quickly, ideally you need to have regular lessons. Having lessons once every Blue moon can break the cycle of learning and can affect the time it takes you to pass your driving test. 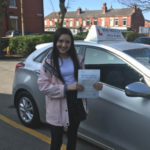 If you’re looking to take driving lessons in Chorley, by taking driving lessons on a regular basis, there’s a good chance that the learning from the previous lesson is retained and therefore you can then continue learning at a faster pace. Regular lessons is key coupled with any private practice you may be able to get from either friends or relatives. You can book your driving test on the DVSA’s website by clicking here.